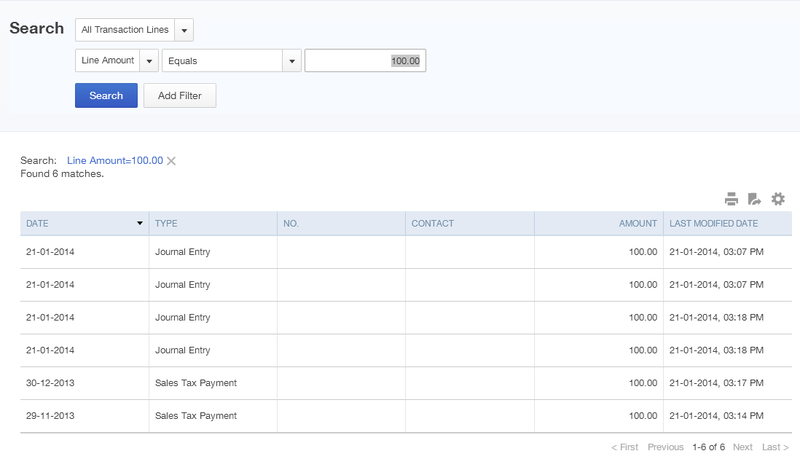 How do I enter the Small Business Job Credit refund into QuickBooks or QBO? This week, I’ve been noticing that the Job Credits for Small Business have been appearing in many of my customers’ CRA online accounts. I haven’t seen any refund cheques or deposits yet, but those should be starting to roll in soon. You might remember the Hiring Credit for Small Business (HCSB) that was around for several years and ended in 2013. This is similar. One notable different is that the CRA will be sending out the refunds rather than having small businesses apply the credits to an upcoming payment. What’s the Small Business Job Credit? The Small Business Job Credit will effectively lower small businesses’ Employment Insurance (EI) premiums from the current legislated rate of $1.88 to $1.60 per $100 of insurable earnings in 2015 and 2016. Any firm that pays employer EI premiums equal to or less than $15,000 in those years will be eligible for the credit. Almost 90% of all EI premium-paying businesses in Canada will receive the credit, reducing their EI payroll taxes by nearly 15%. How will I get the credit? No action necessary. The Canada Revenue Agency will automatically calculate the credit, meaning no paperwork for you. The credit will not be carried forward. You will receive a refund by direct deposit (if you’ve signed up for it) or mailed cheque less any outstanding amounts on your account. This credit can be entered as income or as a reduction in your EI expense. How do I enter this into QuickBooks? How do I enter this into QBO? Happy New Year! We’re a few days into 2015, and I’ve come across several client files where the current Federal and Provincial TD1 amounts are NOT updating. This is a known issue in QuickBooks desktop and hopefully there will be a fix soon. If you’ve already run the first payroll of the year, don’t panic. Just go in and make the changes now. Don’t turn on multi-currency in QBO by accident! Many Canadian ProAdvisors I talk to are excited about QuickBooks Online (QBO), but a common complaint has been that there is no conversion tool. EXCITING NEWS! It appears that the conversion tool is now available from right inside a desktop file. These are my early observations, as there isn’t much information available on the tool as of the date of this blog post. 1. Open the desktop data file using QuickBooks 2014 R4. IMPORTANT: If you’re using the Accountant edition, you need to toggle to the Pro or Premier edition. 2/25/14 UPDATE: The conversion tool is now available from the Accountant edition of QuickBooks desktop. 2. Under the COMPANY menu, go to the bottom and select EXPORT COMPANY FILE TO QUICKBOOKS ONLINE. If you don’t see this, you need to toggle to the Pro or Premier edition. 3. Click CONTINUE on the next window. The data is checked. NOTE: If you are using multiple currency, this conversion tool will not work. Also unavailable (but I’m not sure if any of these prevent a conversion): custom sales form templates, price levels, progress invoicing, multiple sales tax rates, inventory tracking. 4. You are prompted to sign in to your Intuit account or create a new account. I used my QuickBooks Online Accountant (QBOA) credentials (although please note this doesn’t mean the company will appear in my QBOA dashboard – I still have to invite myself as an accountant user). 5. You are asked if you want to replace an existing QuickBooks Online company file or create a new one. I chose to create a new company (which sets up a 30-day free trial of a QuickBooks Online Plus company). 2/25/14 UPDATE Creating the company in QBO FIRST lets you choose which version. 6. QuickBooks begins the export. This step takes a few minutes. Soon a new window opens saying you will receive an email when your data is ready. 7. Open your email and sign in to your QBO account. Voila! There’s the file! Right now it’s all or none – there’s no option to select a certain period of data. I tried this with the Pro Hockey School sample file in QuickBooks Pro 2014 R4P (I’m not sure if the tool is available in earlier releases). The data came across beautifully and just as it was entered in the desktop file. I compared the P&L and Balance Sheet from desktop to online and they are an exact match. The GST/HST filing history is correct and the upcoming period is intact. Payroll is correct. Reconciled transactions are marked correctly. 2/25/14 UPDATE: Before converting, make sure you have the latest release by going to Help > Update QuickBooks. I also tried this with the Pro Hockey School sample file in QuickBooks 2013 R8P+U. However, this opened a US data file and much of the data did not come across correctly. Don’t do this using the 2013 version! 2/25/14 UPDATE: This now works with 2012 and above and converts into a Canadian file. If you are serious about converting a client, I would probably try this out using your own email address to make sure the tool works. Then, I would call the Intuit Inbound Sales Team to have them set up a proper QBO account for your client, making sure the subscription level is correct (though I’m not sure if you can convert to anything other than the QuickBooks Online Plus version) and to make sure you’re getting the best available discount (ProAdvisors may be able to receive perpetual discounts on behalf of their clients). 2/25/14 UPDATE: Although all payroll DATA comes across nicely, you will have a few tasks to do in the QBO file in order to begin processing payroll: turn on payroll, complete employee profile information, enter YTD information. My early review is that I’m totally impressed! This took all of five minutes and my data appears to have converted seamlessly. Try it out. Just make sure to check your data very carefully after the conversion. Let me know how it works for you in the comments section below. If you’re just getting starting using QuickBooks Online (QBO), here are a few things to know about GST/HST as of the date of this blog. I’m using the Harmony version. 1. First things first. You need to set up Sales Tax in order for it to be active in QBO. Select the Sales Tax tab from the menu bar on the left hand side and click on the Set up tax button. Follow the onscreen prompts to complete set up. 2. QBO automatically adds two default accounts when setting up GST: GST/HST Payable and GST/HST Suspense. Think of the GST/HST Suspense account as a clearing account. You can even rename it as such. NOTE: You cannot write a cheque that posts directly to the GST/HST Payable account. You can, however, write a cheque that posts directly to the GST/HST Suspense account. 3. 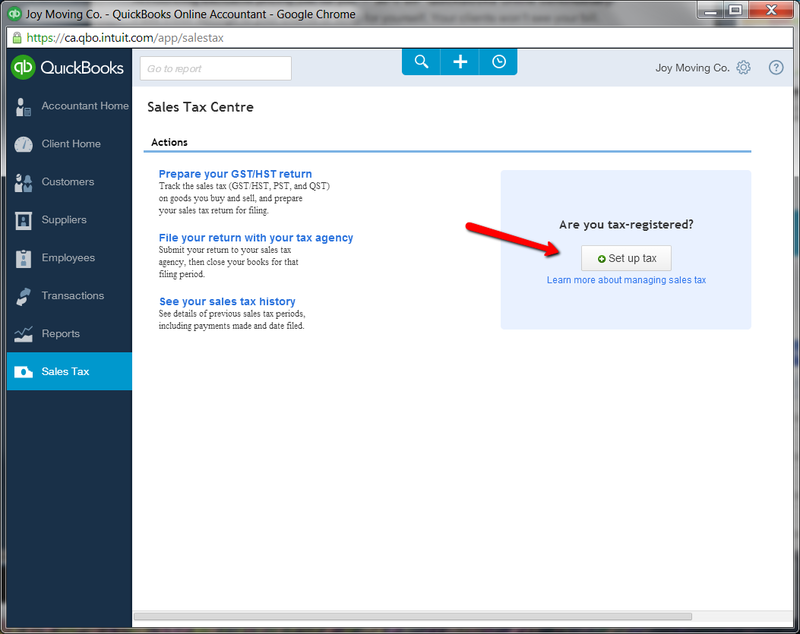 There are no ‘sales tax items’ in QBO like there are in QuickBooks Desktop. Therefore, journal entries must be entered a bit differently. See #9 below. 4. Completing the Sales Tax Return creates a two-line Journal Entry that simply moves what you owe (or what is owed to you) from GST/HST Payable to GST/HST Suspense. If you create a Payment for that period, you are crediting your bank account and debiting the GST/HST Suspense account. If you create a Refund for that period, you are debiting your bank account and crediting the GST/HST Suspense account. 6. 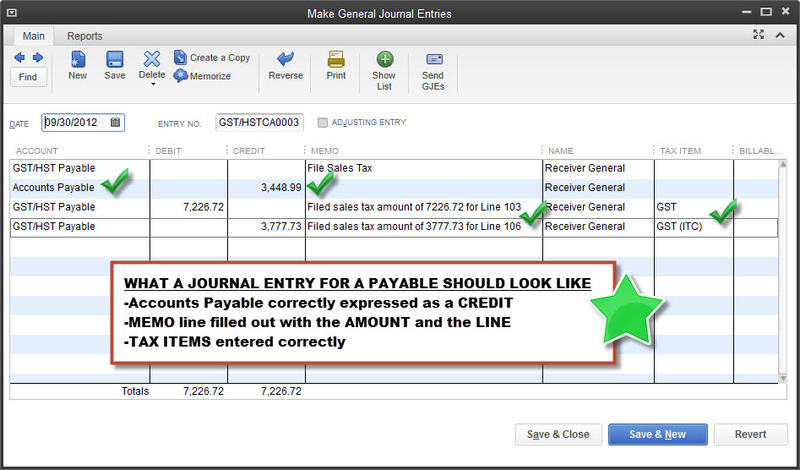 You cannot modify or delete the journal entry that QuickBooks creates when you file a sales tax return. 7. Regardless of the date you filed your GST/HST return, QuickBooks uses today’s date for the journal entry that is created when you file a sales tax return. Excel will become indispensable if you’re troubleshooting! 8. When you make a payment (or receive a refund) for a return you just filed, you must be sure to do so by clicking on Record under the Payments column. Do not make a payment using the big blue Record a Payment button – this is meant for upcoming filings and will create a discrepancy on your next return if used improperly (see #5 – yellow highlighted lines). You’ll know you’re in the wrong payment window if the tax period says Upcoming Filing. Make sure you enter the correct date. I recommend entering a memo as well, for example, “January 2014 Return.” NOTE: when you file a return and create a payment, the payment cannot be printed. 9. 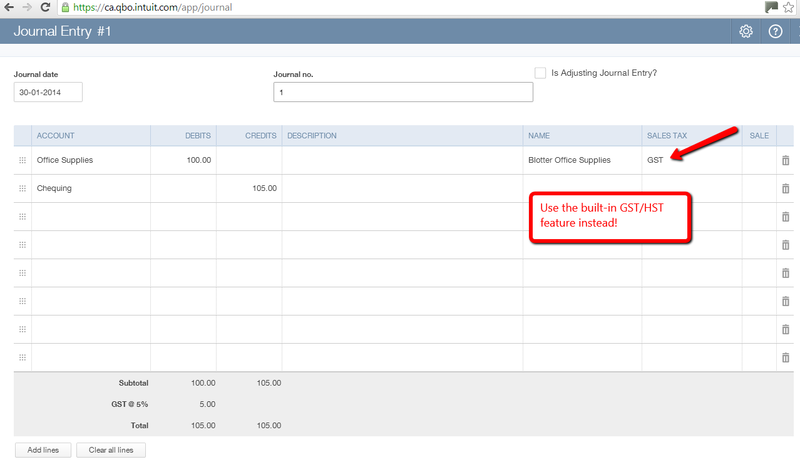 Posting directly to the GST/HST Payable account via journal entry is BAD, even though it’s allowed. Although it will post to the balance sheet account, it won’t show up when you go to file a sales tax return. But don’t panic, Intuit has designed something even better – the ability to assign sales tax to each line of a journal entry. No second independent line for GST/HST needed. When entered this way, it will show up on the return. Accountants commonly post directly to the GST/HST Payable account, so please make sure they know this crucial tip. 10. Made a mistake on your payment and need to change it? You need to delete and re-enter it. But you won’t be able to access the payment from the registers (here you can only view it). You also won’t be able to access it from the View History section of the Sales Tax module. Instead, do this. Use the Advanced Search feature to search for the amount of the payment (see below for suggested filters). Click once on the transaction to open, select delete payment, confirm, then start over using the instructions in #8. I hope this article assists you in navigating GST/HST in QuickBooks Online. Please be sure to leave a comment if you have any tips to add. And if you’re really stuck, feel free to contact me to schedule a troubleshooting session. Intuit VIP Summit 2013. Be inspired! Just a few of the guests at last week’s Intuit VIP Summit in California. Here are the international attendees from Canada, India, UK and Australia. Thank you to Margaret Carey for the photo! 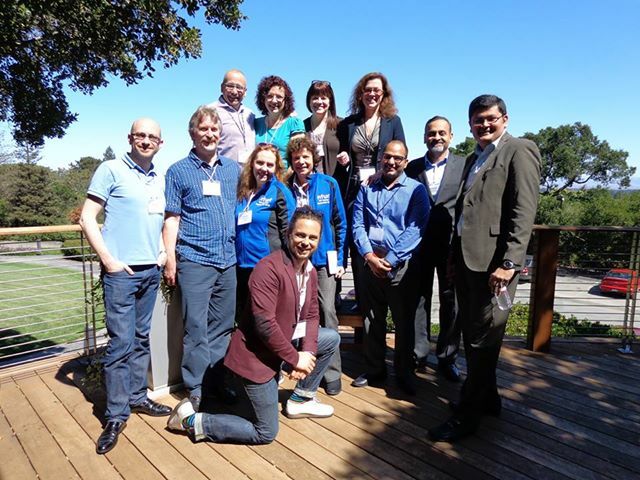 Last week I was honored and humbled to be invited to the Intuit VIP Summit in Mountain View, California. The event was attended by QuickBooks Accountants and Influencers from all over the globe. The two Canadian ProAdvisors in attendance were Esther Friedberg Karp and myself. It was definitely the event of a lifetime, and I certainly hope we get asked back. The evening before the official event, a lovely cocktail reception was held on the ‘Moon and Stars’ patio at the Westin Palo Alto. Two of the first people I had the chance to meet were Charlie Russell and William Murphy, who I’m definitely IN AWE OF. It was a great opportunity to connect with a few of the attendees and some of the folks from Intuit. DAY ONE was held at the Intuit campus. We had a bit of time for breakfast and socializing, and I got to meet several more QuickBooks ninjas including Doug Sleeter, Michelle Long, the gang from RadioFree QuickBooks, Seth David of Nerd Enterprises, and the incredible team from Intuit. I’m sorry I can’t list all the guests, but one thing is for sure, they are all QB rockstars! It was an absolute thrill to meet so many people I feel like I know because of social media. And speaking of social media, we were encouraged to be active on all platforms and tweet using the hashtag #IntuitSummit. We lit up Twitter like a Christmas tree! After an awesome welcome from Senior VP Jill Ward, CEO Brad Smith delivered the key-note address. 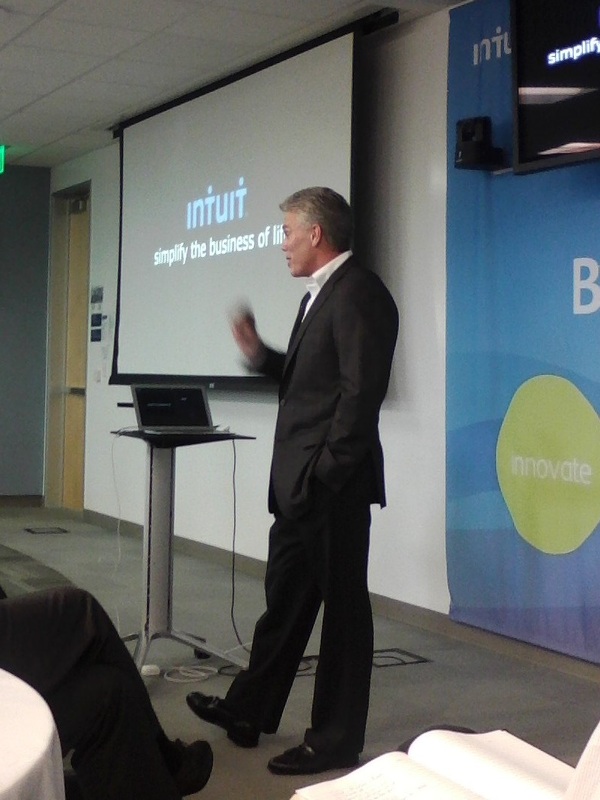 His speech got the room energized about all the exciting innovation happening at Intuit. We were introduced to the new look of QBO (code name ‘Harmony’). It has an updated look that’s modern and clean (and kind of reminds me of Wave). Intuit is putting a lot of resources into the product, worldwide. Last July, QBO was in five countries. Now it’s in over 100! 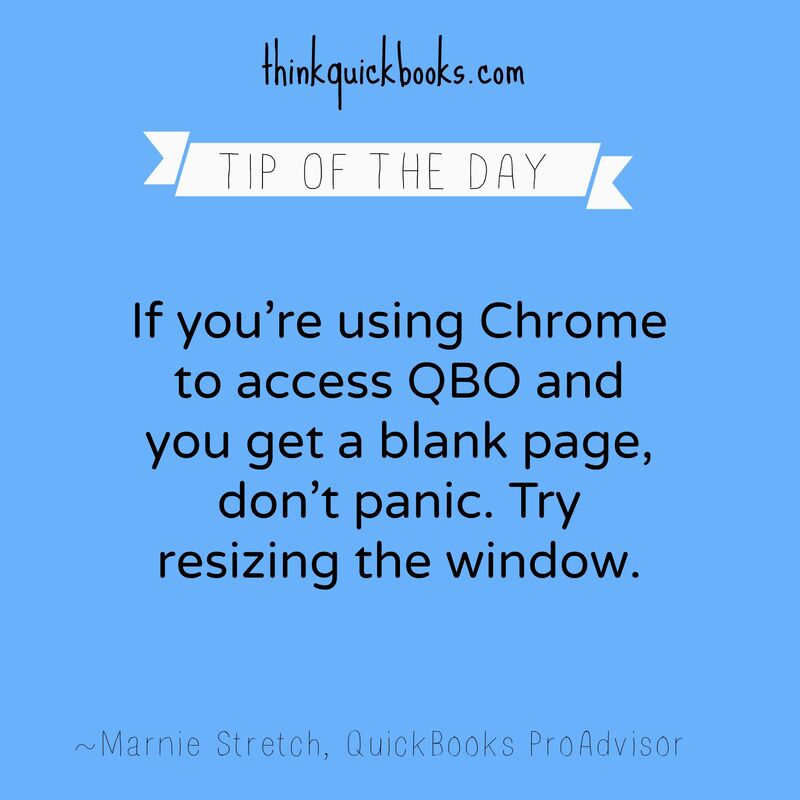 One of the awesome features is that QBO works with a lot of third-party apps. Brad said that Intuit is a team sport and they value their developers. Someone asked about tech support. Brad said that they are aware of the challenges with tech support and believe deeply that “service matters.” He said their goal is to help us to win, not to eliminate our jobs. And he stressed the fact that Intuit cannot succeed without accounting professionals. I have to say I am COMPLETELY excited about ‘Harmony,’ and I will discuss (and challenge) some of the most common objections about QBO in an upcoming blog. In the afternoon, we took part in a “Design for Delight” exercise where we had the chance to break into teams and CREATE! There was much energy and laughter, as all seven tables were assigned a challenge to brainstorm specific ideas/solutions for QBO. Scott Cook, Founder of Intuit, sat at each of the tables, listening and observing. The presentations were intriguing, outrageous, and clever. Shortly after our innovation exercise, it was time to depart for the next part of our day-one adventure. 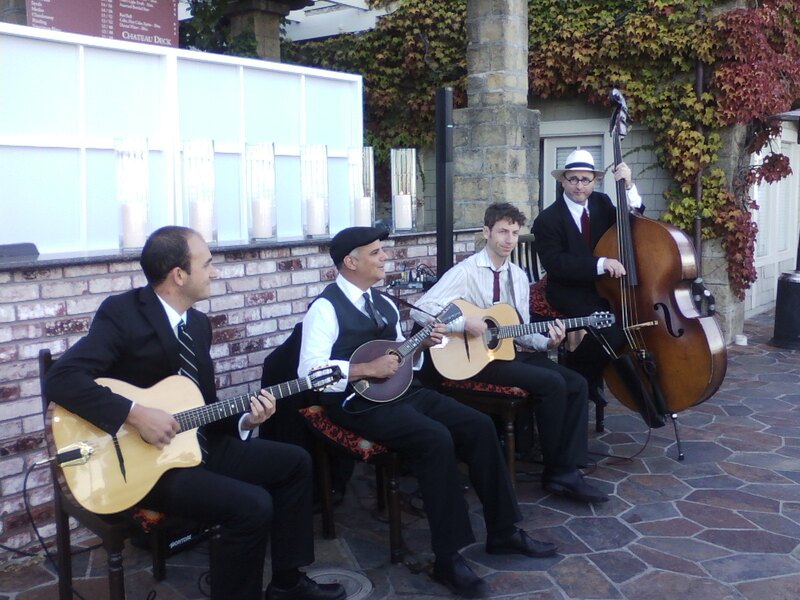 We loaded into buses and were driven up the winding road to the Mountain Winery in Saratoga. We were treated to some excellent wines, delicious appetizers, a stunning view of Silicon Valley, and the “Innovation Showcase,” where we were able to preview some of Intuit’s newest products and meet with Intuit developers at various displays. I was particularly excited to meet Pamela Bailey, Design Lead for the desktop version, who had QuickBooks 2014 on display. She’s from Edmonton, my hometown, and we have mutual friends, so we had lots to c hat about. Intuit continues to make improvements to the desktop version, and even with ‘Harmony’ taking center-stage, it definitely won’t be neglected. One thing you’ll appreciate is that the left-icon bar now has color! As the sun went down, we enjoyed a first-class meal and lively conversation on the patio. The Google Glass was in attendance for anyone who wanted to try it, and a cool 3D printer sent us all home with an Intuit wine bottle key chain. Two high-powered telescopes allowed us to admire the stars. It was a very full day, and my heavenly bed at the Westin was just that. DAY TWO was held at the beautiful Quadras Conference Center. Our morning was an interactive session with Steve King from Emergent Research discussing the future of accounting. We learned some interesting facts. Like sales of tablets are predicated to outpace sales of PCs by 2014. That boomers likely need prescription Google Glass! That social media has created FOMO – the fear of missing out. That predicting the future isn’t that hard… but getting the timing right is. The entire morning was captured by Terry, a graphic recorder. In colorful markers, she recorded the morning’s conversation. It’s really something to see. Her amazing artwork will go back to Steve’s office where he will use it for his Future of Accountancy project. Remember our “Design for Delight” exercise from day one? Joe Wells, the VP of Engineering at Intuit, showed up with the previous day’s best idea magically implemented into QBO! It was very exciting to see our suggestion come to life and confirmed what we’d been hearing over the last two days – that Intuit really is listening. Prizes were awarded for the ‘most social’ attendees, and according to TweetReach, our influence on Twitter was stellar! You can check out all the awesome posts by searching #IntuitSummit. You can also see some great pics of the summit on Pinterest at http://pinterest.com/search/?q=IntuitSummit. It was an amazing, incredible, inspiring two days. I came home with some awesome swag (including a bottle of wine from Scott Cook’s own vineyard! ), many new connections, and complete excitement around what Intuit is doing for accountants and customers. Coming in Friday’s blog – information about the new Cloud ProAdvisor Program! Intuit has relaunched the QuickBooks Community forum! There are nine ‘topics’ to choose from. The first six topics relate to the US versions of QuickBooks. The last three topics are specifically for QuickBooks Canada, QuickBooks UK, and QuickBooks en Español. If you’re a regular visitor, you’ll notice that the topics have been revised. 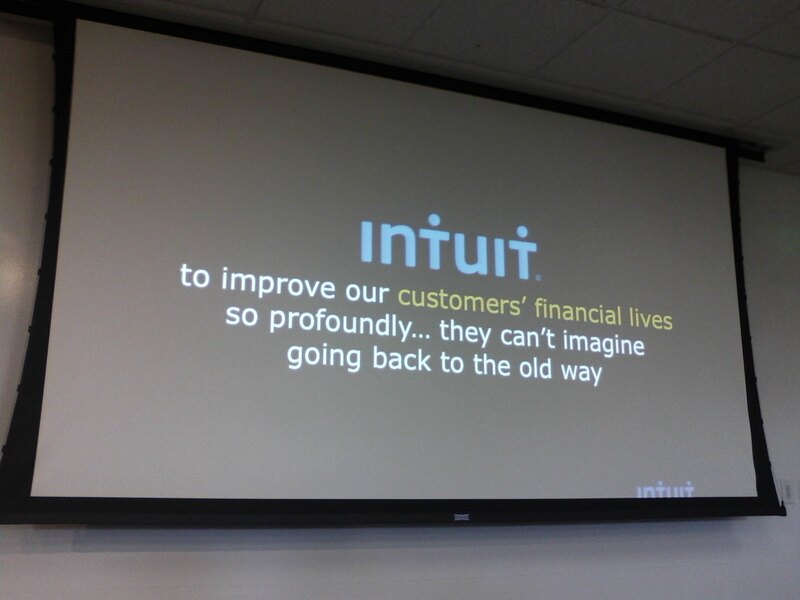 Intuit is perhaps trying to make the language easier for the majority of users to understand (for example, ‘Customers & Getting Paid’ instead of Accounts Receivable). If you click on the QuickBooks Canada topic, you’ll probably notice that ‘Sales Tax’ is not a subtopic. I noticed this right away and definitely think it should be added back! It appears Intuit has some kinks to straighten out, and I’m sure they’re working on them. Members don’t seem to have access to their old questions and answers. And referring specifically to the QuickBooks Canada topic, the ‘Unanswered’ questions seem to all be ‘asked about a year ago!’ That said, it’s early in the changeover and it looks like Intuit is gradually adding back content. Opinions on the new platform aside, the community forum can be a great resource to get pretty much any question you have answered. A lot of QuickBooks gurus hang out and provide answers, generally because they love to serve and help other members with their books. You can also search the database for older questions and answers (a note about searching… right now, you have to type your search into the ‘Have a Question?’ field at the top of the page. You’ll then be taken to the results page, and the field will now be labelled ‘Search.’ Here you can search for another topic). You can also browse tags which you will see on the right hand side of the main page. I’d love to know what you think of the new forum. And if you have a suggestion, you can contact Intuit directly. Look for the ‘Send us Feedback’ link at the bottom of all forum pages. Embrace the change! Did you sign up for e-statements? 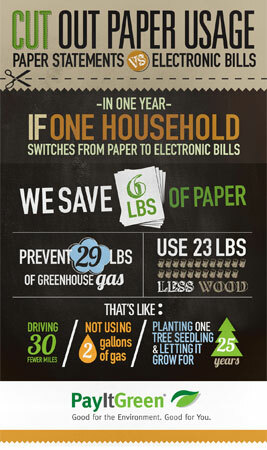 Don’t forget to save or print! There’s nothing better than neglecting my own bookkeeping and sitting down to do it a couple times a year. It fulfills my need for a challenge. LOL! (I don’t recommend this, by the way!) This last time, I went to my credit card provider’s website to download the past twelve months of statements into QuickBooks. Except eight of them were gone! Only the most recent four were available to download into QuickBooks. The missing months were easy enough to access in PDF format (they keep seven years for me), but the downloadable files were indeed gone with no way to get them back. That made for a lot of manual data entry for me. Another of my credit card providers only saves six months, PDF or otherwise. After that, I have to contact them to retrieve the missing statements. This involves an email, a confirmation email, a password and a time limit to fetch them… which I typically miss. I then have to start the entire process of retrieval over again! Banks and credit card issuers often make only a certain number of statements available online. In many cases, it’s only a few months. If you need to go back farther than that, you may have a few hoops to jump through. You may even be required to pay a fee. So here’s a reminder. Save those files to your computer every couple months (and if you still prefer to print, no judgement here! ).